Founded in 1999, the Jobs Partnership of Florida (JP) was formed to address the issue of poverty through strategic and collaborative employment initiatives. An outgrowth of the Orlando Regional Chamber of Commerce’s Workforce 2020 project, JP is based on a successful model of collaboration between churches, businesses and community organizations started in Raleigh, North Carolina. It all started when Chris Mangum’s company resurfaced the parking lot at Pastor Donald McCoy’s church and they became best friends. Funded by the State of Florida and launched in 1999, Workforce 2020 sought to bring together the business and faith communities as partners in the workforce development system in the wake of the Welfare Reform Act of 1996. This innovative workforce development initiative explored the challenges of recruiting and retention of entry-level workers and how to transition generational welfare recipients into the workforce. It was during Workforce 2020 that the JP model was first tested in Orlando. Success in the pilot program led to the formation of a non-profit organization. Marc Stanakis had worked as a businessman for 17 years and served on staff with a large local church in Orlando for 2 years when he first learned about the Chamber’s new workforce development project. Passionate about the intersection of faith and work, Marc was immediately intrigued by the Workforce 2020 project and was recruited by Jacob Stuart to serve as Vice-President of Faith-Based Organizations for the project. Marc first encountered the JP model at a conference in Washington, D.C. Already successful in Raleigh, North Carolina and featuring a program of classes and key partnerships between the business and faith communities, JP was moving people from dependency to self-sufficiency as productive citizens of the community. “When I heard the story (of JP),” said Marc, “I thought, ‘Wow, this is a perfect fit for what we’re trying to do here in Orlando!’” Marc returned home and convinced his Workforce 2020 colleagues to replicate JP. As a result, the state agreed to pay the Chamber of Commerce to pilot four LifeWorks training classes in 1999. It was through his work at the Chamber that Marc and business owner Paul Rahill made the improbable connection with pastors Walter Prince, Sylvester Robinson, and David Outing. The relationships took off and The Jobs Partnership of Florida was born! In June of 2000, Love Fellowship Christian Church held its first worship service in Orlando, Florida. As the founding pastor, Sylvester Robinson has a vision to build a multi-cultural congregation that reaches out and serves Orlando’s growing urban community. 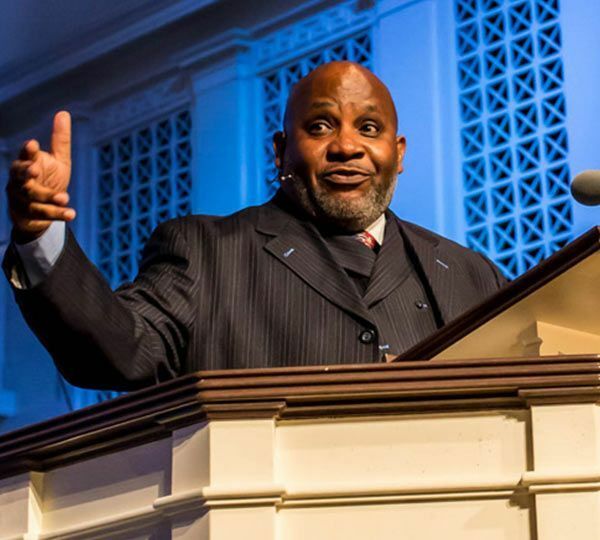 The son of a Baptist preacher, Pastor Robinson pursued full time ministry upon his retirement from a 20-year career in the US Navy. Sylvester Robinson served as a Hospital Corpsman throughout his military career, retiring with the rank of Chief Petty Officer. His tours of duty included Pearl Harbor, Okinawa, Japan, San Antonio, Texas, Camp LeJuene, North Carolina and a final tour in Orlando, Florida, where he retired in February of 1999. Pastor Robinson is the Co-Founder of The Jobs Partnership of Florida and serves on the Board of Directors as the Chairman Emeritus. 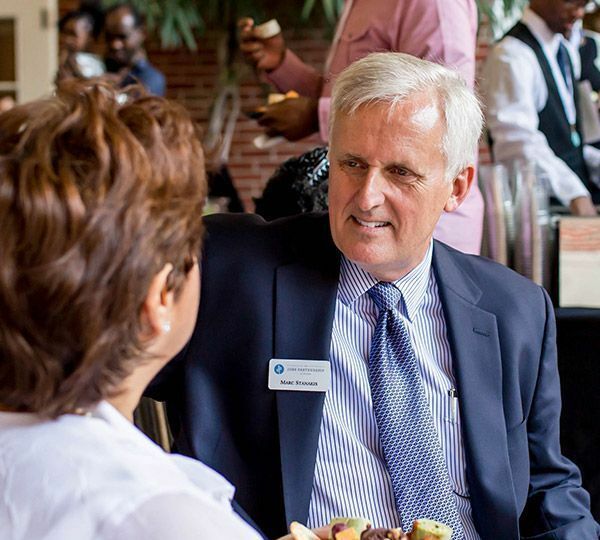 His leadership on the Board and his service as a featured Instructor for the LifeWorks training has resulted in changed lives for nearly 2000 graduates of the program and countless volunteers who have been impacted by the intersection of faith and work. Pastor Robinson is a champion of partnership and collaboration as a means to effectively serving our neighbors in need. Sylvester is originally from Anderson, Indiana. He and his wife Cynthia have two children, Alex and Desamona. They live in Orlando, Florida. Since that time, JP has established 200+ strategic partnerships with businesses, churches, and government and social service agencies throughout Central Florida. These Partners provide services essential for the long-term success of JP’s students. Today, nearly two thousand people have graduated from JP’s LifeWorks Training. As president of JP, Marc Stanakis continues to give leadership to this life-changing workforce initiative.